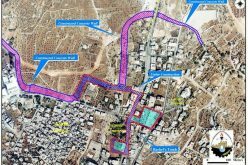 The Israeli bulldozers are back to Rachel&#39;s Tomb area to continue with Wall constructions planned to be implemented close to the tomb. The bulldozers guarded by Israeli Police Border started on February 20, 2006 razing the piece of land next to Mussallam&#39;s coffee shop, making room for the path of the Segregation Wall. Mr. Shibli Sansour is the owner of the land area which is undergoing wall constructions. 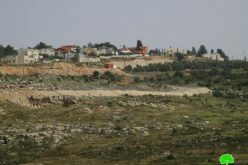 The land is 4.8 dunums area and has been the property of Sansour&#39;s Family for ages. , making room for the path of the Segregation Wall. Mr. Shibli Sansour is the owner of the land area which is undergoing wall constructions. The land is 4.8 dunums area and has been the property of Sansour&#39;s Family for ages. The piece of land which is nowadays undergoing wall constructions belongs to Mr. Shibli Sansour, but the Israeli forces claim that the land was sold to them by its original owner and therefore claim ownership of the land. Mr. Sansour assured ARIJ Field workers that the land wasn&#39;t sold but was taken over by the Israeli forces through the aforementioned military order which clearly shows the Israeli plan around Rachel&#39;s Tomb area. 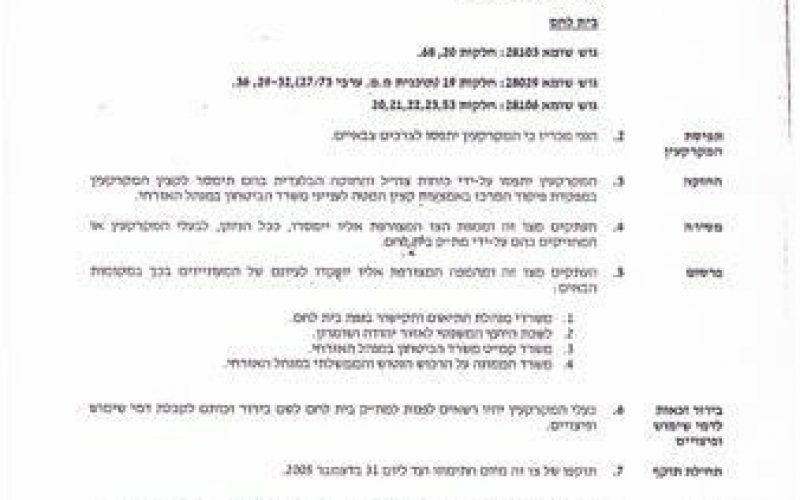 So on one hand the Israeli authority claims ownership and on the other serve military order that confiscates the land and ask from the &#39;owners of land … &#39;to go to the DCO in Bethlehem in order to get more information about their right of land use expenses and compensation&#39; which clearly shows the Israeli contradiction and gives evidence of their manipulative ways to grab more of the Palestinian land. The Israeli razing activities are taking place in an area that lies within Bethlehem Governorate&#39;s boundaries, and used to be one of the busiest areas before the eruption of the Second Intifada in September 2000 when the Israeli forces closed the road leading to the Tomb and prevented Palestinians from accessing it as they should according to Oslo Agreement II of Year 1995. 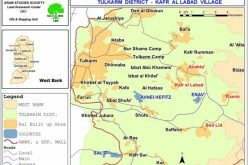 According to Oslo II Agreement signed in September 1995, the location of Rachel&#39;s Tomb falls within area C of Bethlehem Governorate, which means that the Palestinians have the responsibility for civil life such as economics, health and education in the area; however, the Israelis will retain full control over the security and the administration related to territory. Under this agreement, the Palestinians were allowed to use the main road. While the Tomb, as well as the main road leading from Jerusalem to the Tomb, as indicated, will be under the security responsibility of Israel, the free movement of Palestinians on the main road will continue. For the purpose of protecting the Tomb, three Israeli guard posts may be located in the Tomb, the roof of the Waqf building, and the parking lot. The Israeli activities at Rachel&#39;s Tomb area starting by closing the road leading to the tomb following the outbreak of the second Intifada and preventing the Palestinian access to it, the seizure of Mussallam&#39;s house next to the tomb, the seizure of the Palestinian lands surrounding the Tomb and Bethlehem&#39;s Northern entrance for the construction of the Segregation Wall around it, further tells of more Israeli plans to be implemented in the area. 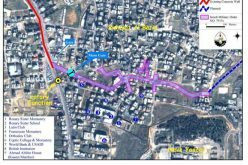 On February 3, 2005, the Israeli high court rejected a petition presented by 18 Palestinian families from Bethlehem and Beit Jala cities) against the construction of a bypass to be constructed parallel to the path of the Segregation Wall at Bethlehem&#39;s northern entrance, all the way from &#39;Gilo 300&#39; terminal to reach Rachel&#39;s Tomb. The road, according to Israeli sources, is going to facilitate the movement of Religious Jews to Rachel&#39;s Tomb area. A week later, the Kever Rahel Fund founder and director Miriam Adani said that the court&#39;s decision is the &#39;first step towards the establishment of a Jewish community around the Rachel&#39;s Tomb compound.&#39; as quoted from the JPost daily newspaper on February 11, 2005. 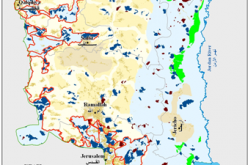 The annexation of Rachel&#39;s Tomb area is part of Israeli plan, the &#39;Jerusalem Envelope&#39; which is being implemented on the expanse of Palestinian Lands. 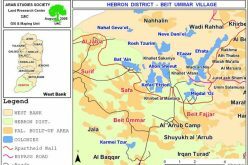 This wall section is stretching a length of 1.3 kilometers, comprising about 3% of the total Wall length in Bethlehem Governorate, 52km. 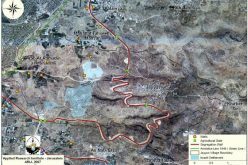 The &#39;Jerusalem Envelope&#39; is going to stretch for 190 km around the city of Jerusalem, extending from the settlement of Har Adar, to encompass the Giv&#39;at Ze&#39;ev settlement bloc, the Ma&#39;ale Adumim settlement bloc, and stretch toward the south of the West Bank to encompass the Gosh Etzion settlement bloc. See map 2. Under International law, Israel is illegally constructing the Segregation Wall on the Palestinian Lands and depriving Palestinian residents their full rights in life, of which, right to Freedom of Movement which is protected by Article 12 of the International Covenant on Civil and Political Rights (ICCPR), which states that: &#39;Everyone lawfully within the territory of a State shall, within that territory, have the right to liberty of movement and freedom to choose his residence.&#39; Article 3 of the Fourth Geneva Convention of 1949 also strictly prohibits the occupying power from initiating &#39;violence to life and person&#39; and &#39;outrages upon personal dignity, in particular humiliating and degrading treatment&#39;. The right to freedom of religion is protected under Article 18 of the ICCPR; and other rights that also fall under the various aspects of human rights law. 2. I announce by that the above mentioned lands are seized for military reasons. 3. 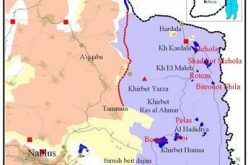 The IDF seize the lands and have an absolute control over it that is given to the officer of the central command officer of lands who is responsible in the ministry of defense. 4. These copies are to be given by the District Co-ordination Office &#39;&#39;The DCO&#39;&#39; of Bethlehem to the owners of land. The office of commander responsible in the ministry of defense in the civil administration. Office responsible of absentee and public lands in the civil administration. 6. The owners of land have the right to go to the DCO in Bethlehem in order to get more information about their right of land use expenses and compensation. This right is also protected under Article 13 of the Universal Declaration of Human Rights. The Fourth Geneva Convention, Article 3, Sections (a) and (c). Israel resumes Wall constructions at Bethlehem Northern Entrance.